Bharti Airtel has expanded its 4G footprints in Rajasthan by launching the services in Jaipur, Didwana, Fatehpur, Ladnu, Makrana, Tonk, Rajsamand, Nathdwara, Bundi and Dungarpur. Now, Airtel 4G is available across 27 towns in Rajasthan. 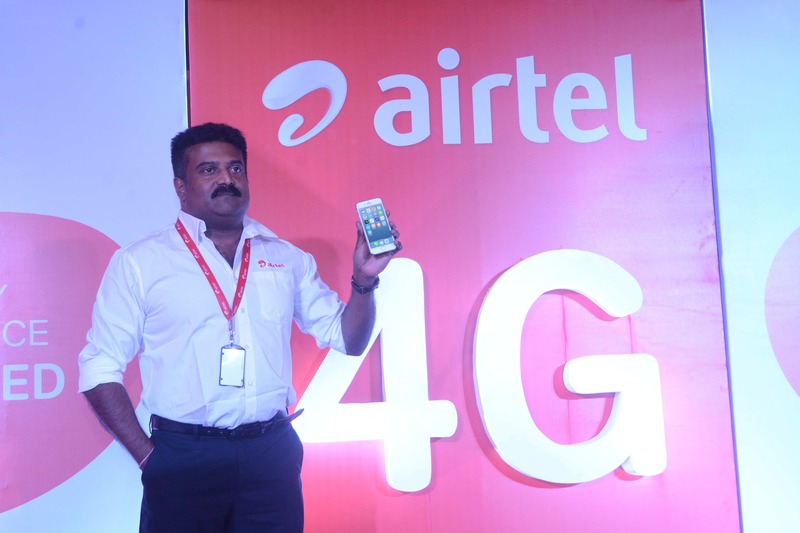 Airtel has launched a host of prepaid and postpaid plans for 4G services in the places. One is the pack for prepaid customers that offers 10 GB 4G data for Rs. 265 with any new 4G handset. Within the offered data, 1GB will get credited to customer’s account almost instantaneously and the customer has to avail the balance 9GB data through MyAirtel app. Users can avail a maximum of three recharges within 90 days, on the offer. The 4G prepaid pack for Rs. 1495 offers free 4G data for 90 days. There is also a mega-saver pack for prepaid users offering 6GB 4G data upfront and unlimited number of 1GB 4G recharges @ Rs. 54 over the next 12 months. The cost of this pack is Rs. 1498. For postpaid users, Airtel’s Infinity plans starts at Rs. 1199 that will offer 4G data with unlimited voice calls for STD, local and on roaming. Using Airtel MyPlan, customers can design their own plans as well. Airtel customer can also avail the advance rental plans starting from Rs. 3900 to avail their new Mi-fi device free-of-cost. Airtel 4G in Rajasthan has been rolled out using FDD-LTE technology in the 1800 Mhz spectrum band. Makrana is my home town….. thanks Airtel for 4G…. Can anyone register on to Airtel 4G network in Jaipur? When I try to register my S7 Edge on LTE only with Airtel as network, it says “Can’t Register”. Even, I am not. tried at 4-5 different locations. I live in Pin code 303002, whenever I go to city I have to select preferred network as 3G as with my redmi prime 3,it is very difficult to be on 4G network. I m constantly out of network. In brief, airtel 4g is not so good.